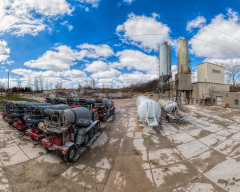 Ready-Mix Driver Professionals are key Schmitz Ready Mix employees who are responsible for the condition and quality of the concrete in the mixer drum and for delivering it, per customer requirements, to job sites across Southeastern Wisconsin. 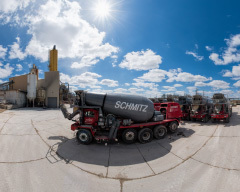 Although the success of Schmitz Ready Mix is dependent on the customer service skills of every employee, it is our ready-mix driver professionals who provide direct daily contact with our customers – homeowners and construction professionals – and with the general public. 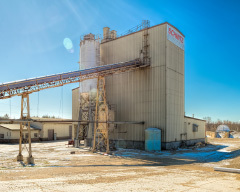 Southeastern Wisconsin contractors choose to do business with Schmitz Ready Mix for many reasons. 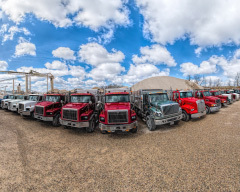 Topping their lists are our company’s technical excellence and the skill, service expertise, and positive attitude of our ready-mix driver professionals. 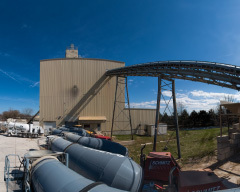 Why drive for Schmitz Ready Mix? Concrete is more than a simple mixture of sand, stone, water, and cement. The world’s most used construction material, concrete is beautiful, durable, versatile, practical, inspirational, and very environmentally friendly. 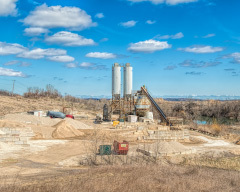 Since the turn of this century, ready-mix concrete demand in the Southeastern Wisconsin counties of Kenosha, Milwaukee, Ozaukee, Racine, Sheboygan, Walworth, Washington, and Waukesha has exceeded 3,000,000 cubic yards annually. 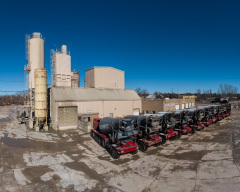 This is more than 350,000 truckloads of concrete a year, much of it manufactured and delivered by Schmitz Ready Mix. The concrete is used for bridges, barns, and office buildings; footings, farm roads, factories, foundations, feedlots, and structural framing; homes, highways, hotels, hospitals, and other health care-related facilities; patios, parking lots, pump stations, skateboard parks, and parking structures; sports courts, streets, silos, stadiums, schools, sidewalks, and shopping malls; warehouses, worship centers, and wastewater plants; and countless other structures and infrastructures. Indeed, concrete is the foundation for the high quality of life enjoyed in Southeastern Wisconsin. Schmitz Ready Mix driver professionals are rightly proud of the essential role they play in building their communities. Long, safe, stable careers impacting positively on Southeastern Wisconsin’s quality of life. Physical ability throughout the day to climb onto and off the mixer truck, using fixed ladders and truck handholds. Being a morning person is a plus for ready-mix driver professionals. Schmitz Ready Mix Driver Professionals get to work outdoors, are home every night, and drive state of the art trucks both on and off-road. If you have strong driving and people skills and enjoy mental and physical challenges, Schmitz Ready Mix invites you to join its ready-mix delivery team. For more information about getting a Commercial Drivers License, click here. Cheryl Pagel directs Human Resource activities for Schmitz Ready Mix, including employment, training, and employee development.